Just down the road from me is this farm with a big red barn. 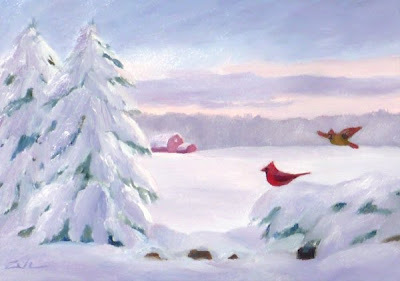 It inspired this early morning painting of cardinals in the snow. Check out my bird art for sale at JanetZeh.Etsy.com. Thanks for stopping by!